If you've had a successful session before, but are running into an error trying to enter another session, you may have a process still running from a previous session. If VSee didn't properly close after your last session, the system will not allow you to open another connection. 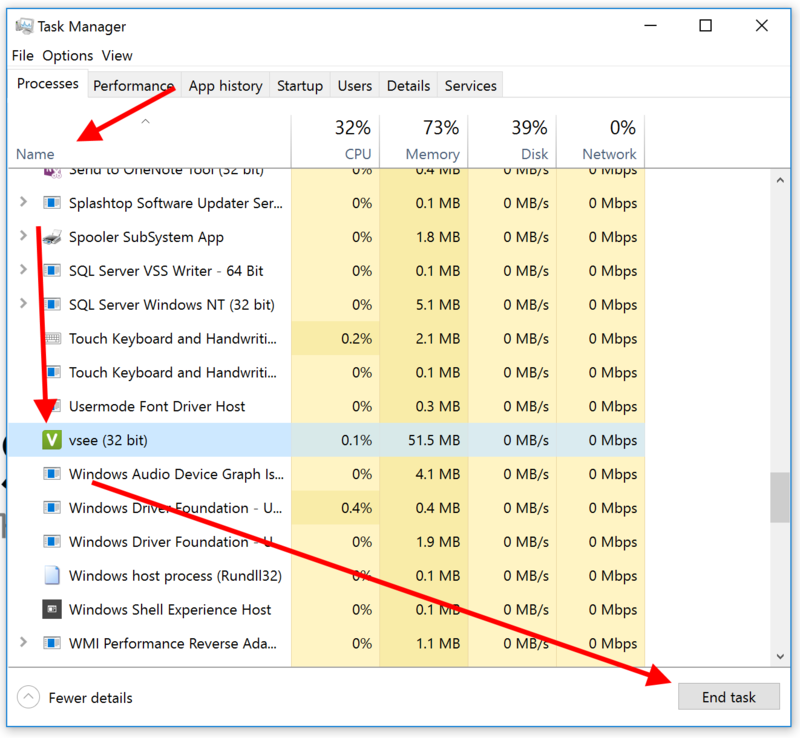 However, you can forcibly end the application process through your Activity Monitor or Task Manager. 1. 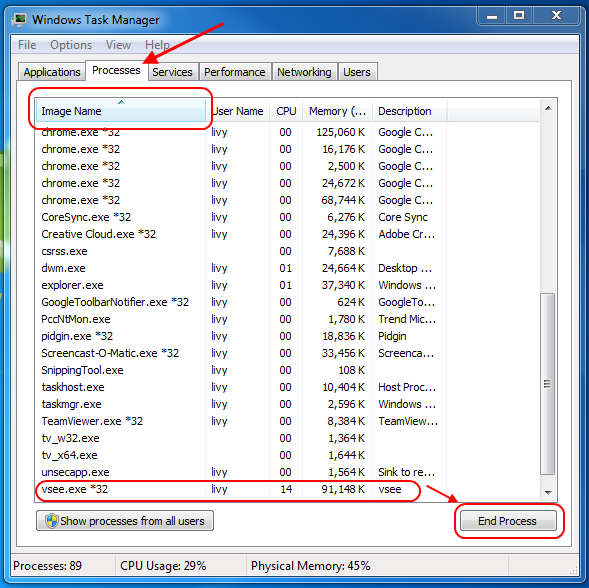 Your Task Manager will show you all of the processes that are currently running. 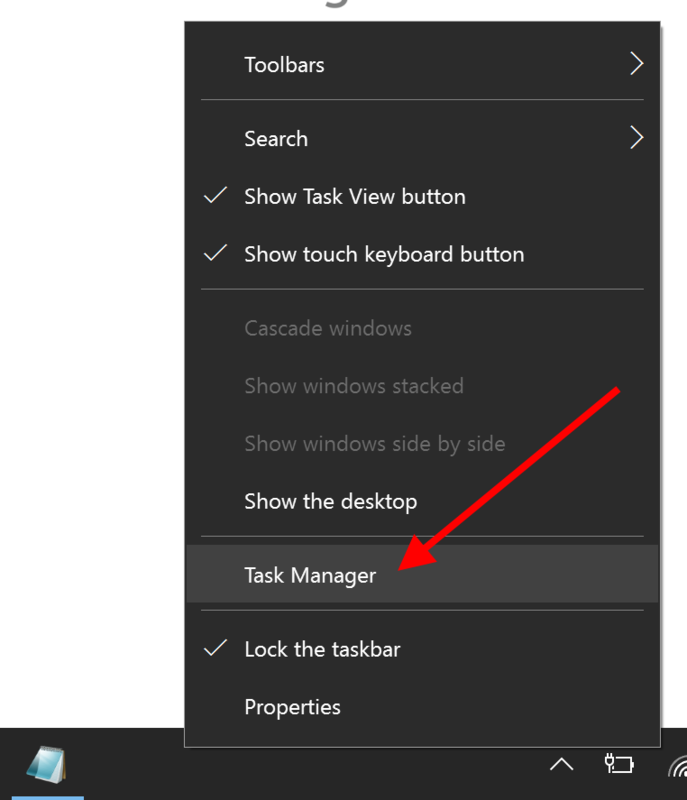 Press Control (CTRL) + Alt + Delete to start your Task Manager, or right click on your taskbar and select Start Task Manager. 2. You may need to click on "More details". 3. Click on the Name column name to sort everything alphabetically and make it easier to find vsee. 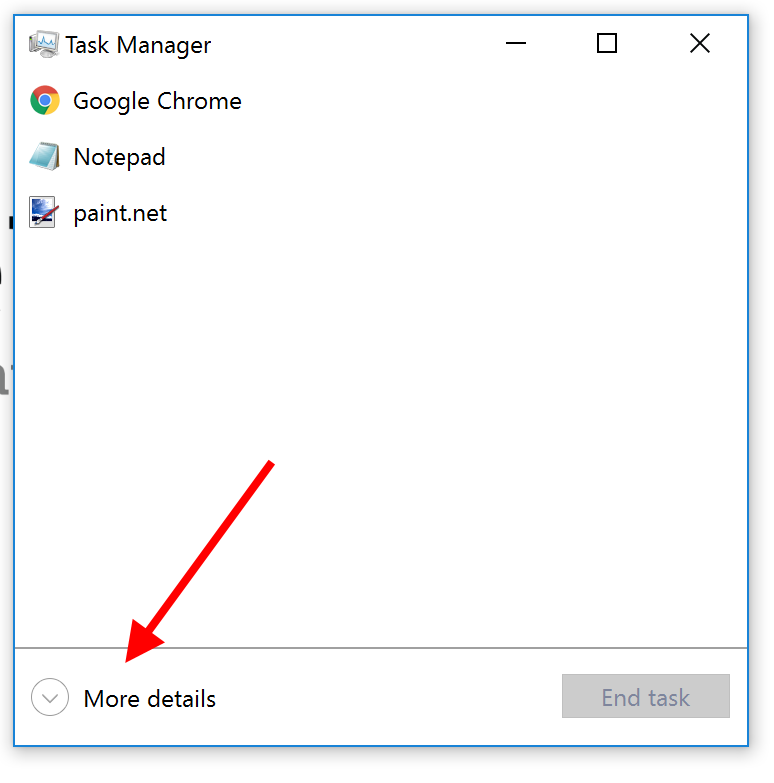 Click on "vsee" once to select it, and then click on the "End Task" button in the lower right hand corner. 2. Click on the Processes tab, and then on the Name column name to sort everything alphabetically and make it easier to find vsee.exe. 3. Click on the Process Name column name to sort everything alphabetically and make it easier to find VSee. 4. Select VSee, and then click on the button in the top row, of a gray octogon with an "x" in the middle. If you did not find VSee, then you can try manually uninstalling VSee by following the instructions below.